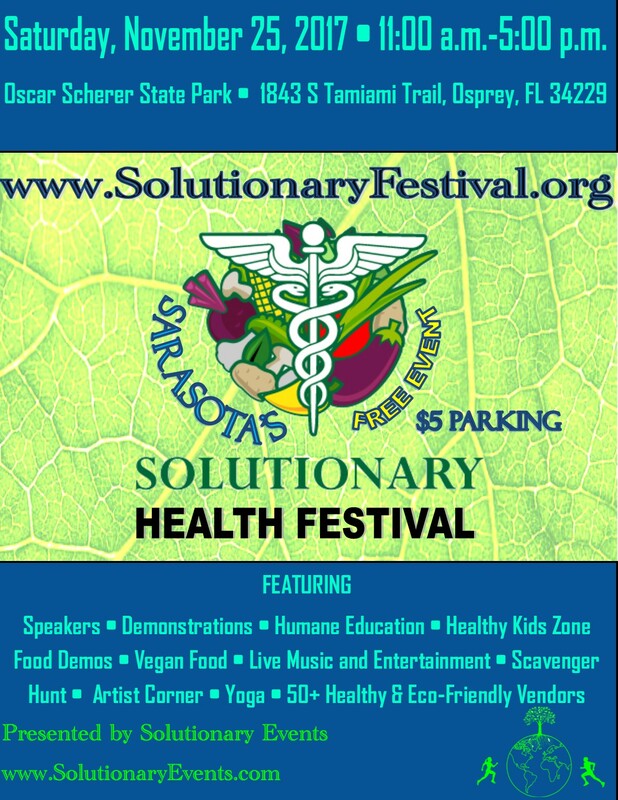 The Solutionary Events team is excited to bring the Solutionary Health Festival to the Sarasota community! Guests will have the opportunity to learn about creating a healthy, compassionate, and regenerative world through a fun-filled festival starting at 11:00 a.m. and a 5K Run starting at 10:00 a.m. at the beautiful Oscar Scherer Park in Sarasota, Florida! Featuring knowledgeable speakers, health food, live music from a variety of talented musicians, health-oriented vendors, a kids’ health zone, a scavenger hunt, yoga, a 5K race, and more, the Solutionary Health Festival is fun for all age groups and welcomes diversity! 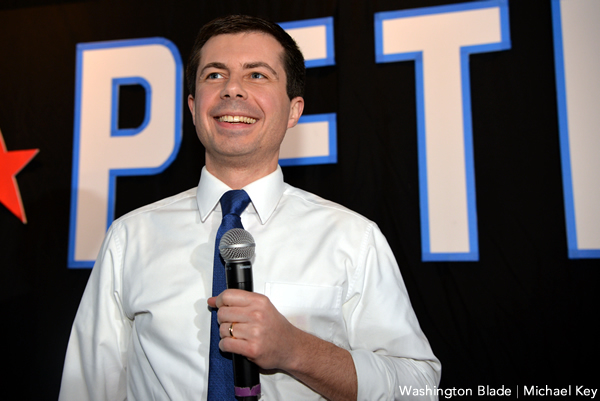 This event will occur from 11:00 a.m. to 5:00 p.m. and the event is free (Parking is $5). Solutionary Events is a 501c3 non-profit educational outreach organization with a mission to create healthy, compassionate, and regenerative communities through coordinating vegan and socially responsible events such as festivals, workshops, seminars, potlucks, beach/park, cleanups, film screenings, outreach events, races/walks, and other events that align with the values of Solutionary Events’ mission. 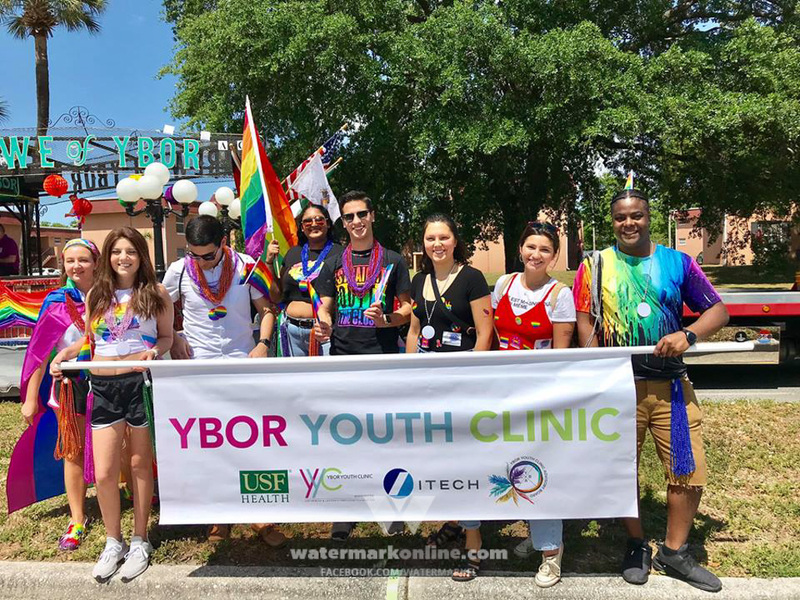 Through the knowledge, experience, and dedication of solutionaries (people who take part in solutions instead of problems), the team offers valuable resources to people interested in learning about healthy living. The Solutionary Events team embraces the key elements of living a full and meaningful life through promoting conscientious and compassionate lifestyle choices. Learn more at www.solutionaryfestival.org!